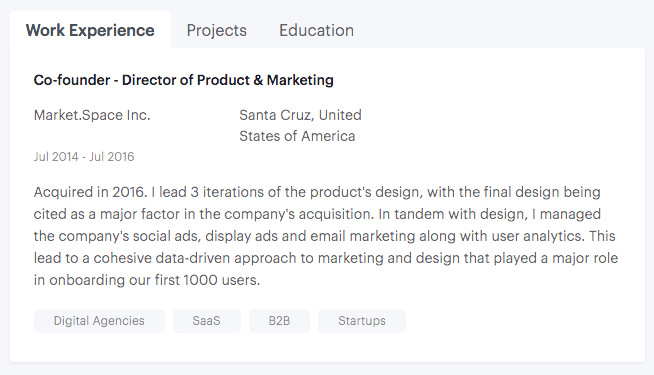 Why is the mentor profile so detailed? We admit it - we ask for a lot more information from our mentors than other two-sided platforms. But there's a really good reason for this. We aim to have the crème de la crème of growth experts on the platform. The more info and background displayed on the profile, the better a prospective client can select the right mentor. This saves a lot of time on both ends and makes sure that the match is a good one. Over here, mentors will be able to show off and humble brag their hearts to their maximum desire. Displayed on your profile page, write freely here, limited to 3,000 characters. This section shows off what tools you have experience with. 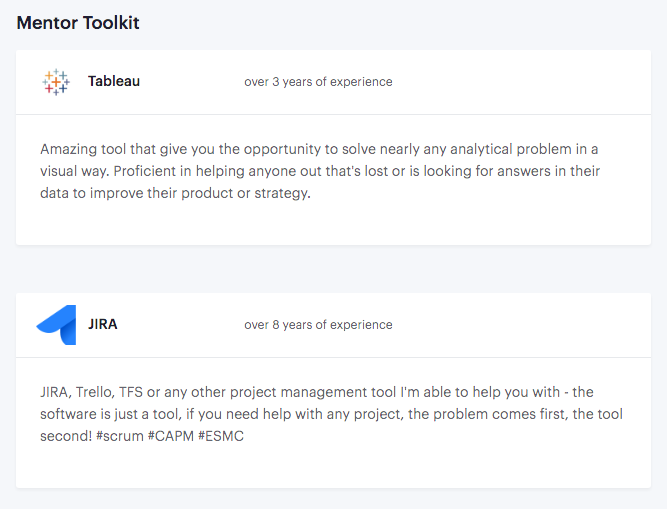 This is an incredibly valuable part of your profile because so many times startups have immediate problems that involve the proper usage of a tool (or a combination of tools). By showing off what tools you've got first hand experience with, you increase your profile's exposure on the software filter search. The work experience section on your profile shows what you've worked on, your accomplishments during that job, and how that helped you grow into who you are today. You'll also be able to assign industry tags to your work experience. Mentees can filter based on your industry tags. 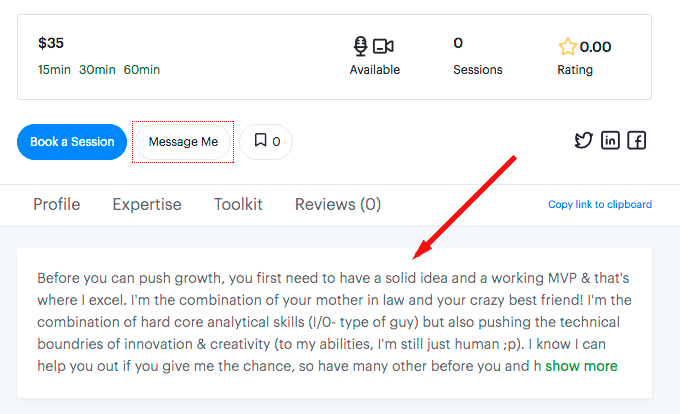 You're on the Growthmentor platform because you've got experience and insights that can help others grow, showcase it! We felt that work experience alone wasn't enough to fully define our growth mentors. This is why we added the ability for mentors to go into more detail about projects they've worked on to add more context. Startup side projects you've started but perhaps for some reason, didn't materialise into fully baked product launches, but still played a formative role in your professional development. Mention them here! This one's self-explanatory, but the best education entries will be specific and mention how these studies helped propel you into the the person that you are today. Not all education is in formal schooling. Some of the most valuable professional lessons are learned via online courses or offline certifications. Mention the certificates you're most proud of here to create a 3D picture of what your capabilities really are. You can really tell a lot about how someone thinks by the way they write. Adding your best written content that exemplifies your top professional skills as a growth mentor is a fresh way of communicating your personal brands' value to potential mentees. Contact me at jessica@growthmentor.io and I can jump on a Skype, Google Hangouts, or Zoom call with you to walk through your profile with you and offer real-time optimization tips so your profile can truly shine.